I love scotch. Obviously. But I mean I love all types of scotch, including peated, honeyed, fruity, smoky and everything in-between. On the sherried side, one distillery stands out for me – Glenfarclas. The Speyside distillery produces beautiful sherried malt, ranging from a young 8-year-old to their 40-year-old, an elder statesmen if there ever was one. There’s one expression that stands out. Glenfarclas 105. It’s a cask strength version of their 10-year-old. 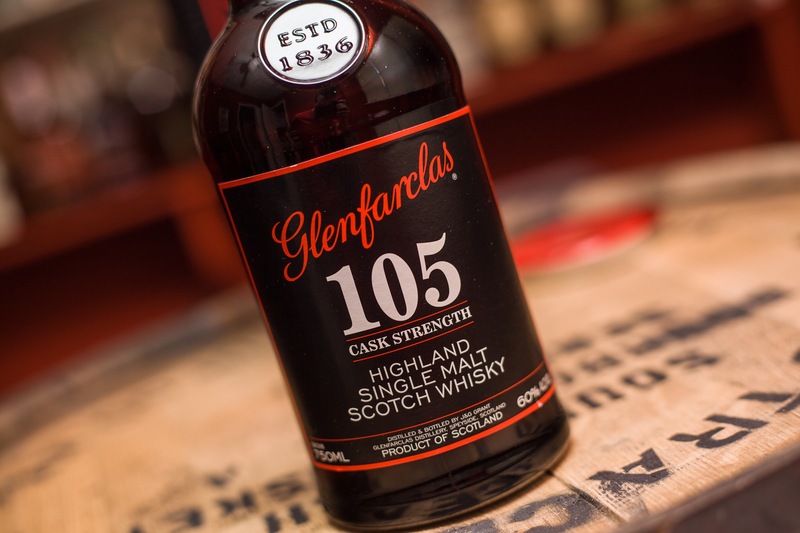 Coming in at a massive 60% abv, Glenfarclas 105 is a bold and delightful whisky. The “105” in the name is a nod to the old British Proof system. Under that system, 105 proof equaled 60% abv. The nose is full of vibrancy and richness, with sherried malt, toffee, nutmeg and oak. This is high proof whisky, so adding a little water helps bring out the fruity notes in the nose a bit more. That high alcohol content also packs a punch in the flavor department. Big notes of dry sherried fruit (raisins especially), clove, vanilla shine against a backdrop of rich, creamy toffee. The long finish is leaves behind sweet and spicy notes, and becomes a touch dry after a while. Thanks to Sazerac Company for the sample. As always, thoughts and opinions are my own.